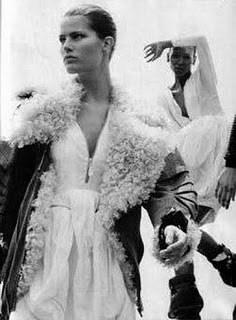 A recent post of the above fabulous Balenciaga Aviator boots by Jack & Jill reminds me of how much I was in love with Balenciaga's Fall/Winter 2004 collection. When it's done right, it transcends time. 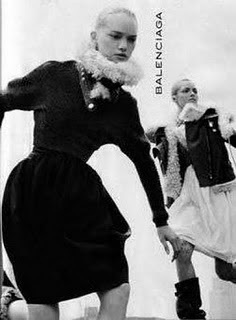 And Balenciaga is almost always done very right!